This book examines in detail the status of children in the EU. 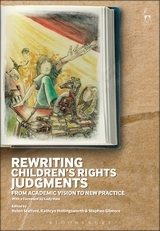 Drawing on a range of disciplinary perspectives, including the sociology of childhood and human rights discourse, it offers a critical analysis of the legal and policy framework underpinning EU children's rights across a range of areas, including family law, education, immigration and child protection. Traditionally children's rights at this level have been articulated primarily in the context of the free movement of persons provisions, inevitably restricting entitlement to migrant children of EU nationality. In the past decade, however, innovative interpretations of EU law by the Court of Justice, coupled with important constitutional developments, have prompted the development of a much more robust children's rights agenda. This culminated in the incorporation of a more explicit reference to children's rights in the Lisbon Treaty, followed by the Commission's launch, in February 2011, of a dedicated EU 'Agenda' to promote and safeguard the rights of the child. 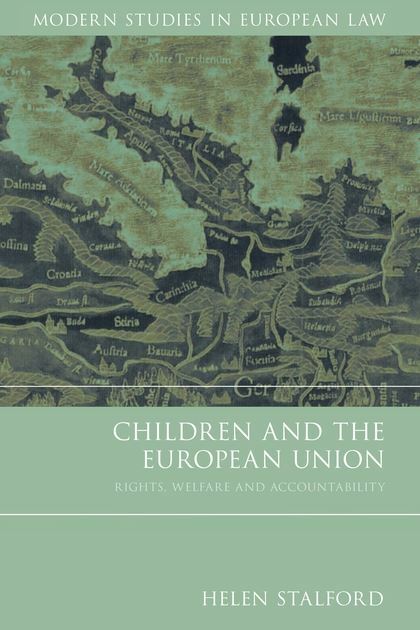 The analysis presented in this book therefore comes at a pivotal point in the history of EU children's rights, providing a detailed and critical overview of a range of substantive areas, and making an important contribution to international children's rights studies. Is There a Need for EU Action in the Field of Children's Rights? Does the EU have the Capacity to Regulate Children's Rights? Extricating Children's Family Rights from the Economic/ Self-Sufficiency Nexus? Is the EU Maintenance Regulation Compatible with Children's Rights? Mediation: Empowering Adults but Disempowering Children? Is a Separate Legal Instrument Governing Cross-Border Mediation Necessary? Is EU Child Protection Legislation Compatible with Children's Rights? Achieving Better Accountability-For What and to Whom? 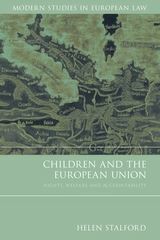 “... a timely and valuable contribution to understanding this area of law, examining the current status of children in EU law, and the potential scope for future developments. This book will be particularly useful for researchers in the field of children's rights, and researchers and practitioners in any of the legal fields examined in detail by the author, including family law, migration and child protection. It also provides a useful reflection on the increasing scope of activities of the EU and will be a reference point for researchers into European law more generally. It draws attention to the role of a new actor in the field of children's rights and a developing area of policy debate across the EU, demonstrating a combination of understanding of the EU, and the protection and empowerment of children. It makes a distinctive contribution to the understanding of European law, and of children's rights, which will stimulate the ongoing debate over the effective protection of children's rights in other contexts beyond the EU. Helen Stalford is Professor of Law and Director of the European Children's Rights Unit at the School of Law and Social Justice, University of Liverpool.